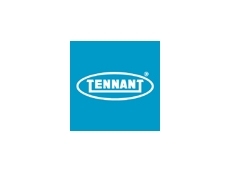 The Trading Standards Service of the Oxfordshire County Council, UK has ruled in favour of Tennant in a matter involving its patented ec-H2O technology. According to Tennant, the UK Trading Standards Service has determined that advertising claims made by the company about its patented ec-H2O technology are supported by scientific evidence and customer testing. In its ruling, the Trading Standards Service found that Tennant can broadly support its claims in relation to ec-H2O on the company’s website and in marketing materials. As a result, the Trading Standards Service has declined to further investigate the challenge raised by German competitor Karcher. Commenting on the Trading Standards Service’s decision, Chris Killingstad, Tennant Company’s president and chief executive officer said that the company takes pride in the integrity of their business and in the value of their products, and the decision further supports that commitment. Tennant is a specialist provider of sustainable cleaning technologies with operations across the world.